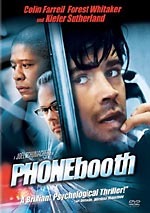 In this heart-pounding, edge-of-your-seat thriller, veteran 911 operator Jordan (Halle Berry) takes a life-altering call from a teenage girl (Abigail Breslin) who has been kidnapped and thrown into the trunk of a madman's car. But with the clock ticking, Jordan soon realizes she must confront a killer from her past in order to save the girl's life and put an end to a serial killer's haunting rampage. $17.118 million on 2507 screens. Some people like to claim that Halle Berry’s career went downhill after she won an Oscar for 2001’s Monster’s Ball, but I disagree. In truth, Berry was never a box office draw. When she appeared in hit movies – such as the X-Men series – she did so as part of a supporting cast, and when she played the lead – ala Catwoman - the films failed to perform. 2013’s The Call didn’t establish Berry as a box office headliner; with a gross of $51 million, it failed to make much of a dent. But at least that’s better than Catwoman’s $40 million, and at least Call made a profit. Unlike the $100 million Catwoman, Call cost a mere $13 million, so it ends up as a relative success. Financially, that is. As a movie, the issue seems less clear. Jordan Turner (Berry) works as a dispatcher at a 911 center in LA. One day she fields a call from teenager Leah Templeton (Evie Louise Thompson); the girl’s home alone while an intruder attempts to break into the house. He does so and eventually kidnaps Leah, all while Jordan listens to the events on her end of the phone. Indeed, Jordan feels partly to blame; when the call gets disconnected, she redials, and that alerts the intruder to Leah’s location. When Leah winds up murdered, Jordan can’t take the pressure of the 911 call center any longer and becomes a trainer instead. This changes when the killer strikes again. As she leaves a mall, teenager Casey Welson (Abigail Breslin) gets abducted by the same maniac. He sticks her in the trunk of his car and Casey dials 911 while they speed toward destinations unknown. The operator who takes the call freaks out under pressure so Jordan takes over and we follow her attempts to stop the murderer and keep Casey alive. As I mentioned in my review, when I saw Contact back in 1997, I left the theater disappointed because its trailer gave away so much of the story. It left few stones unturned; while the full movie delved into those topics in better detail, I still felt like I didn’t see much that I didn’t already know. Going into The Call, I encountered the same qualms. I viewed the trailer a few times before the movie hit screens and thought it looked like one with little room to grow; the ads told us so much that I found it hard to imagine I didn’t already know 90% of the action. Unfortunately, those fears were justified. On its own, Call offers a mostly decent little thriller, especially during its first half. Even with my foreknowledge of events, the film manages a reasonable amount of tension and drama over its initial 45 minutes or so. After that, however, two issues become a concern. The first applies only to those of us who saw that stupid trailer: we know everything! In fact, Call might reveal more than the Contact promo I hated in 1997. While we don’t know exactly how Call will resolve itself, we know far more than we should; knowledge of the trailer strips the viewer of nearly all surprises. Problem number two becomes the bigger issue, though: those surprises just aren’t that good. To pursue its finale, Call needs to off the rails in terms of logic and believability. It becomes hard not to groan as characters perform one idiotic action after another, all solely to push the story in one particular direction. All of this is a shame, as Call has potential. The focus on the 911 operator offers an interesting twist, and as I mentioned, it does come with a few exciting moments. Though director Brad Anderson too often relies on pointless visual gimmicks, he still brings a decent sense of tension to some of the film. He just can’t maintain it, and the movie sags when it most needs to kick into higher gear. The Call doesn’t give us a bad film, but it provides one that lacks consistency. 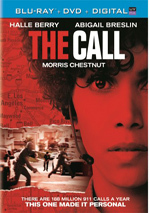 The Call appears in an aspect ratio of approximately 1.85:1 on this Blu-ray Disc. As expected, the Blu-ray provided an appealing presentation. Sharpness always looked solid. The movie came with a slightly gauzy feel, but that didn’t impact definition, which remained tight and concise. At no point did moiré effects or jaggies mar the transfer, and it lacked edge haloes and print defects as well. Did Call avoid the standard “orange and teal” look of modern thrillers? Sort of – it went with a fair amount of teal but opted for a more amber sense along with it. This restricted the overall palette but left the hues well-rendered within the visual decisions. I felt blacks seemed deep and rich, while low-light shots offered nice delineation. The Blu-ray aptly captured the original film. In addition, the DTS-HD MA 5.1 soundtrack of The Call suited the material. The soundscape used the various driving/action sequences to fill out the five channels, and it featured music in a prominent fashion; the score and songs occupied the various speakers in an involving way. The soundfield combined the components in an immersive, logical manner. Audio quality succeeded. Speech sounded distinctive and concise, with no edginess or other issues. Music was dynamic and full, and effects appeared detailed and dynamic. Across the board, the movie offered a satisfying soundtrack. We get a decent mix of extras here, and these start with an audio commentary from director Brad Anderson, producer Michael Helfant, Bradley Gallo and Robert Stein, writer Rich D’Ovidio and actors Halle Berry and Abigail Breslin. Via conference call, all sit together for a running, screen-specific look at story/characters, cast and performances, sets and locations, stunts and action, visual design, music, editing,and some other areas. Even with a large number of participants, the track doesn’t become cluttered, and it mostly avoids the happy talk that mars many commentaries. Instead, it moves at a nice pace and gives us a good overview of the various subjects. The chat turns into a positive discussion of the film. Emergency Procedure: Making the Film runs 14 minutes, 53 seconds and provides notes from Anderson, D’Ovidio, Berry, Helfant, Breslin, Stein, prosthetic makeup designer Thom Floutz, producer Jeff Graup and actors Michael Eklund, Michael Imperioli, and David Otunga. The show looks at the film’s story/characters and its origins, cast and performances, camerawork, sets and visual design, makeup, and issues with the ending. This is a decent but fairly insubstantial show; it gives us a few useful bits but lacks much depth. We get two separate Set Tours. These show us the “Call Center” (4:51) and “The Lair” (3:27). In these, we hear from Anderson, Breslin, Berry, and production designer Franco G.Carbone. They give us some notes about the production design as we see the various elements in these informative little clips. Inside the Stunts. 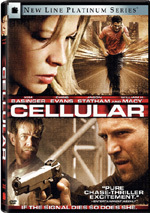 This lasts six minutes, 56 seconds and features Berry, Gallo, Eklund, Imperioli, stunt coordinator Kanin Howell, props assistant Neil Mather, and stunt coordinator Mark Chadwick. As expected, we learn a bit about the movie’s stunts and action. Like “Procedure”, this one doesn’t deliver a lot of meat, but it contributes some interesting details. Under Audition Tape, we see Michael Eklund’s try-out. The reel occupies seven minutes, 48 seconds and shows different elements. The first two minutes act as a sort of warped music video with Eklund in character, while the rest of the piece delivers more traditional audition material. It’s all fun to see. In addition to an Alternate Ending (0:52), we find four Deleted and Extended Scenes (4:22). These include “Call Center Class” (0:54), “Jordan and Officer Phillips Talk on Rooftop” (1:34), “Michael Moves Casey to Another Car” (0:47) and “Last Warning” (1:06). The “Ending” softens the finale somewhat but doesn’t offer a radical alteration. As for the others, “Class” expands/slightly alters the content of the final scene, but not the message; it’s a marginal change. In “Talk”, Jordan muses a little more on her future, and in “Moves”, we watch what the title describes. Finally, “Warning” shows a threat from Michael. Other than “Talk”, none of these do much to expand/alter the story or characters; they’re small tidbits without much real purpose. “Talk” does show the opening call’s impact on Jordan a little better, but it’s not necessary, as we already get how much it disturbed her. The disc opens with ads for Evil Dead, Dead Man Down, House of Cards and The Last Exorcism Part II. These pop up under Previews along with a clip for Magic Magic. No trailer for Call appears here. 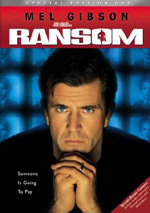 A second disc delivers a DVD copy of Call. It includes the commentary and the “Emergency Procedure” featurette. On its own, The Call provides a decent thriller, though it’ll be less satisfying for anyone who saw previews. If you ignored those, it’s still only okay; it comes with potential it only occasionally reaches. The Blu-ray delivers very good picture and audio as well as a generally positive array of supplements. I feel pleased with the Blu-ray but the movie itself seems average.